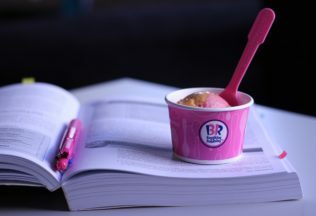 Baskin-Robbins Australia has appointed a new General Manager. Replacing David Jordan who has occupied the role since February 2014, Ben Flintoff will now take up the position. Ben Flintoff has been with Baskin-Robbins for over five years and has spent the last two and a half years as National Operations Manager for the Australian arm of the ice cream chain. Flintoff has a combined 15 years of retail experience, working for other food chains including Noodle Box. He was formerly the owner of Brisbane City Catering and BB’s Café Warf Central in Brisbane. Flintoff said he was excited about his new position. “I am very passionate about Baskin-Robbins Australia,” Flintoff said. “It is a fantastic brand which brings so much pleasure to so many Australians and I look forward to leading its development over the coming years,” he stated. Baskin-Robbins was established in the US in 1945 and its Australian branch is managed by Palm Oasis Ventures, a joint venture between the Galadari Brothers and Dunkin Brands International. There are currently 88 Baskin-Robbins ice cream stores Australia-wide. Gelatissimo will be launching eight new gelato flavours across July and August 2016. Herb producer, Gourmet Garden, is now selling a new product range called ‘Finishing Drizzles’. HERE's our top ten list of national and international news briefs.